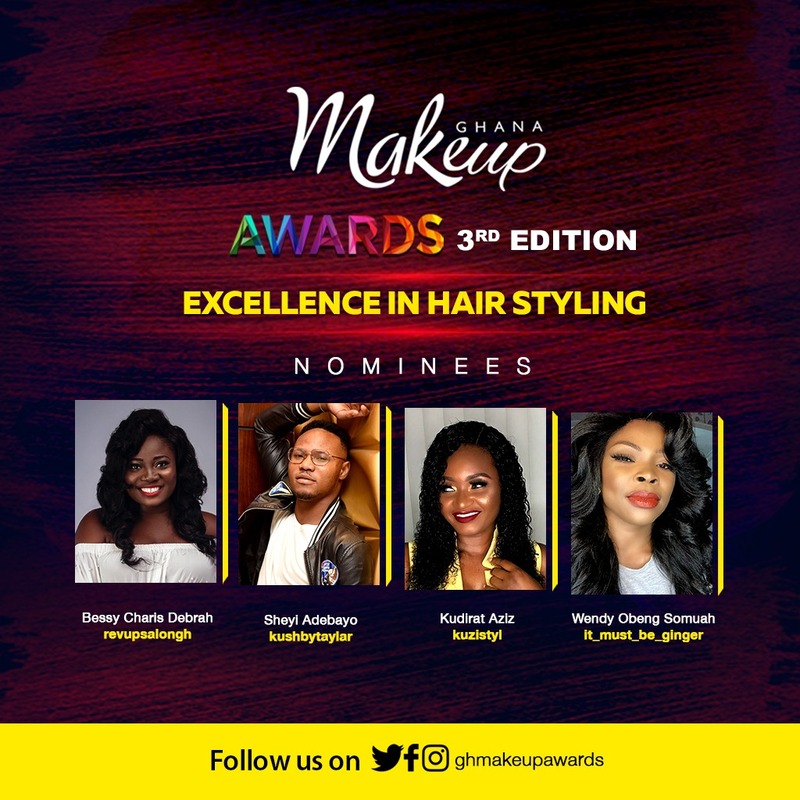 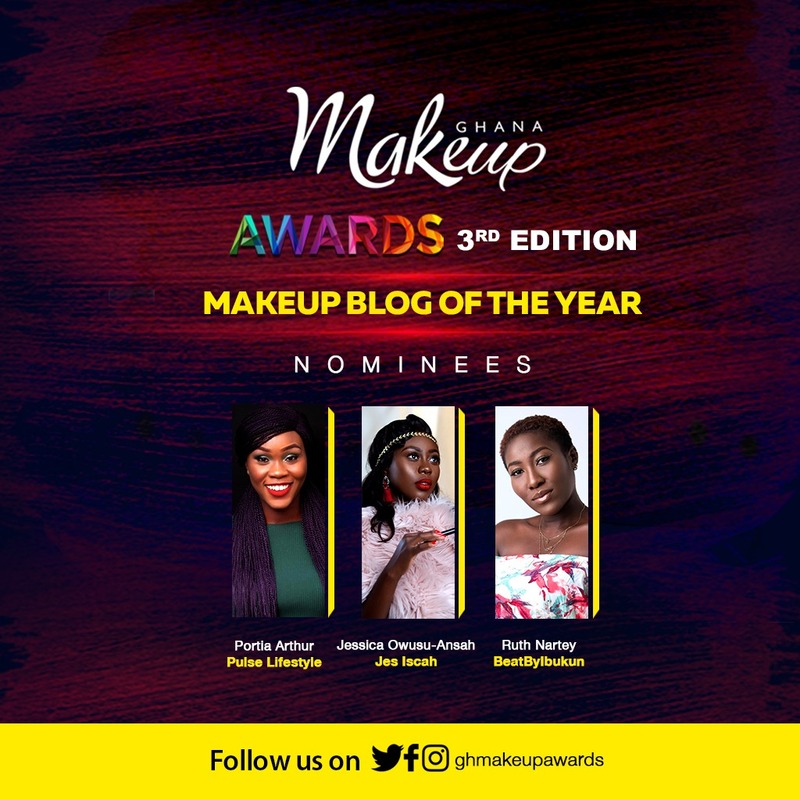 Makeup Ghana, organizers of the Ghana Makeup Awards, announces the official nominees for the 3rd Ghana Makeup Awards, across nineteen (19) categories for makeup artists, businesses, content creators and industry affiliates. 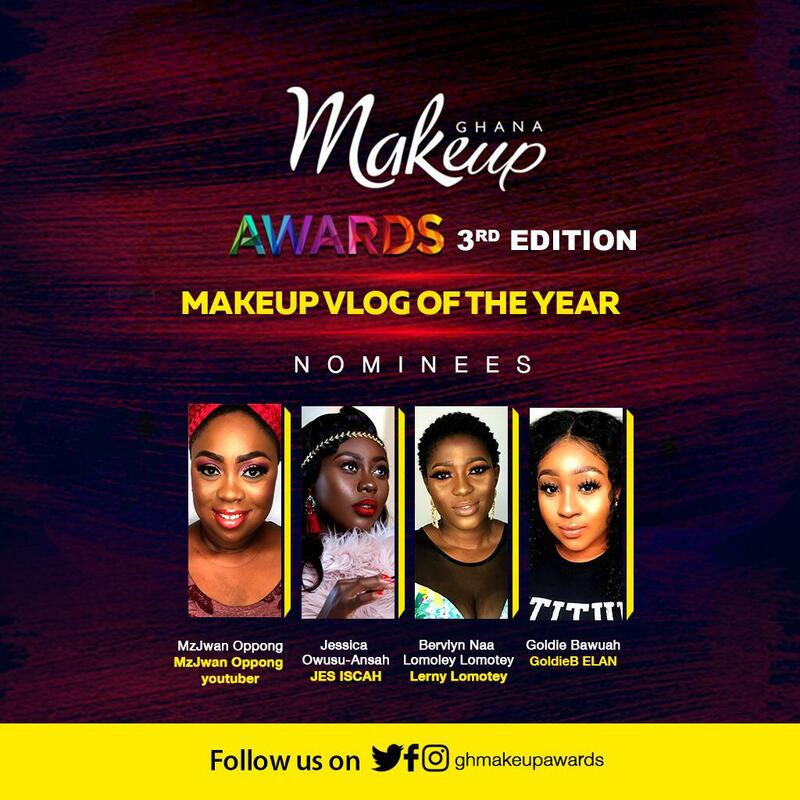 Accra, Ghana. 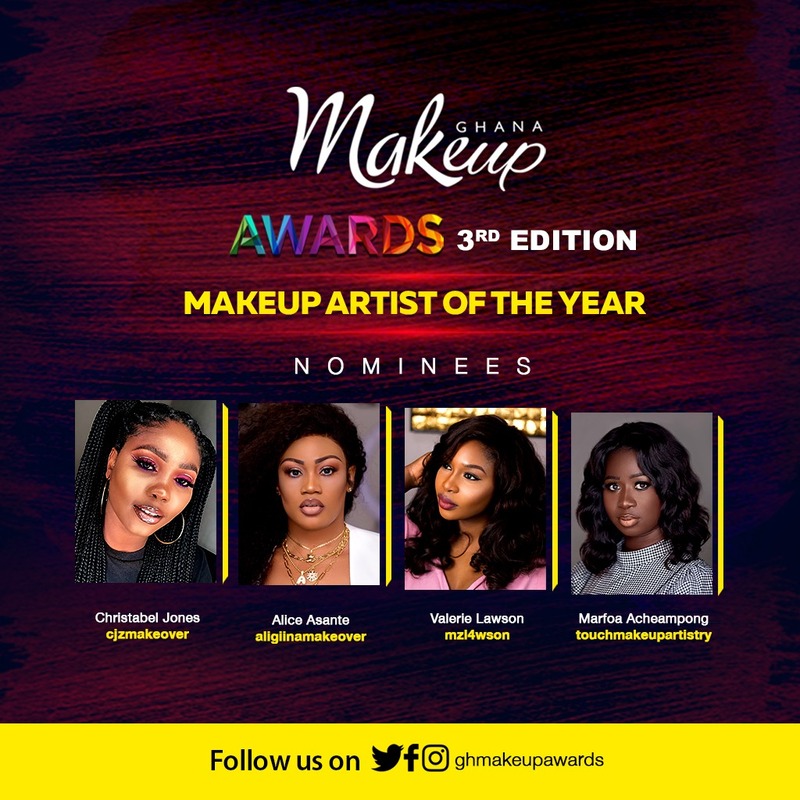 April 8, 2019: Makeup Ghana has unveiled the nominees vying for top honours in the 3rd Ghana Makeup Awards, the industry award for the makeup and beauty industry, celebrating artistic excellence and beauty, which this year will be held on May 11th, 2019 at the Mövenpick Ambassador Hotel Accra. 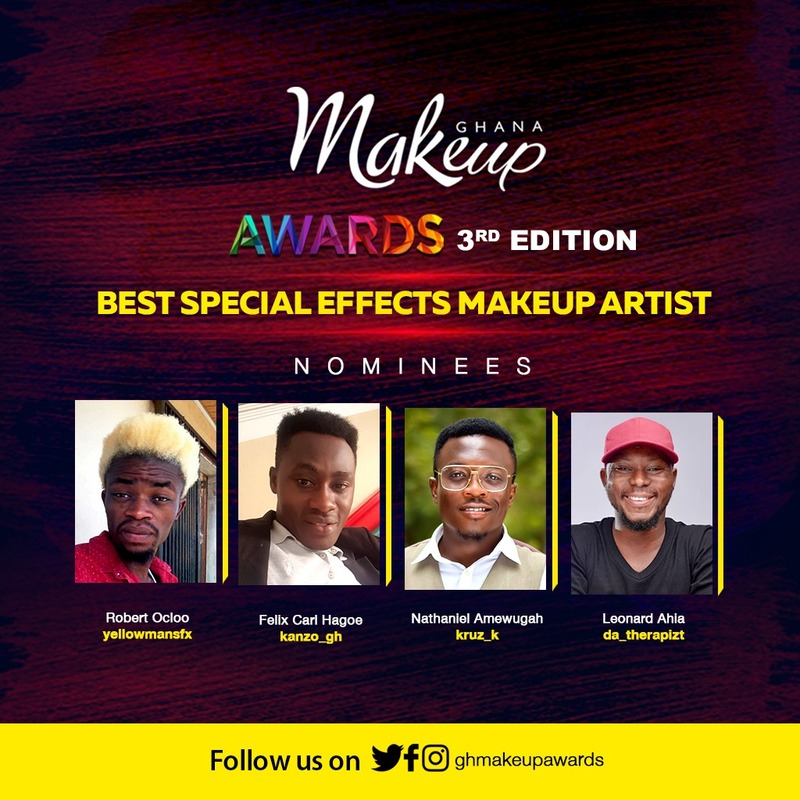 The seventy-one (71) Official Award Nominees were shortlisted from one hundred and thirty-seven (137) nominations across all the categories. 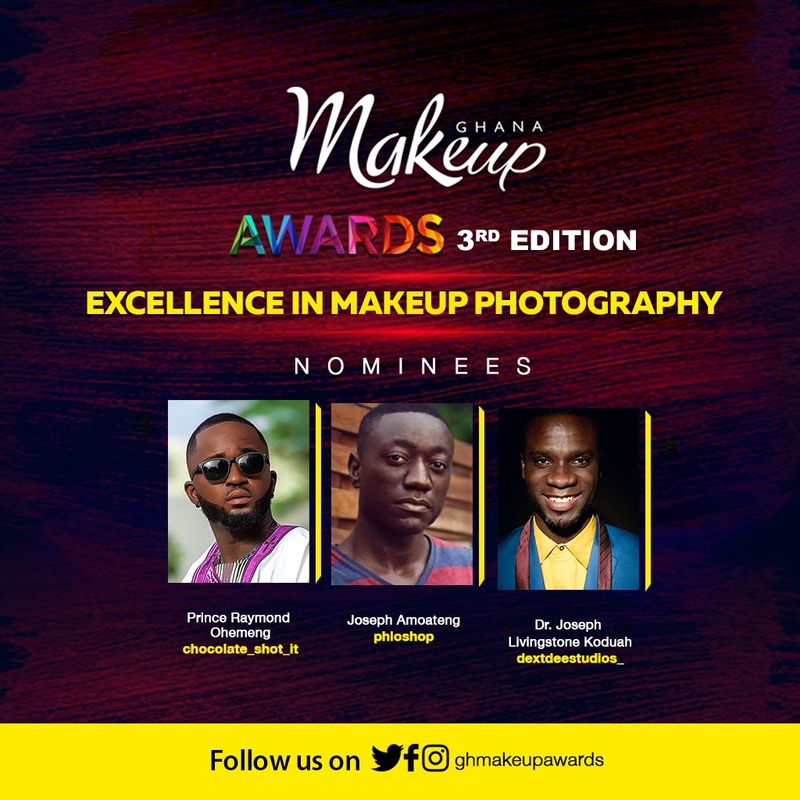 The Official Nominees include nominees and winners from the previous editions and new faces who have entered to compete for the top spot in their respective categories. 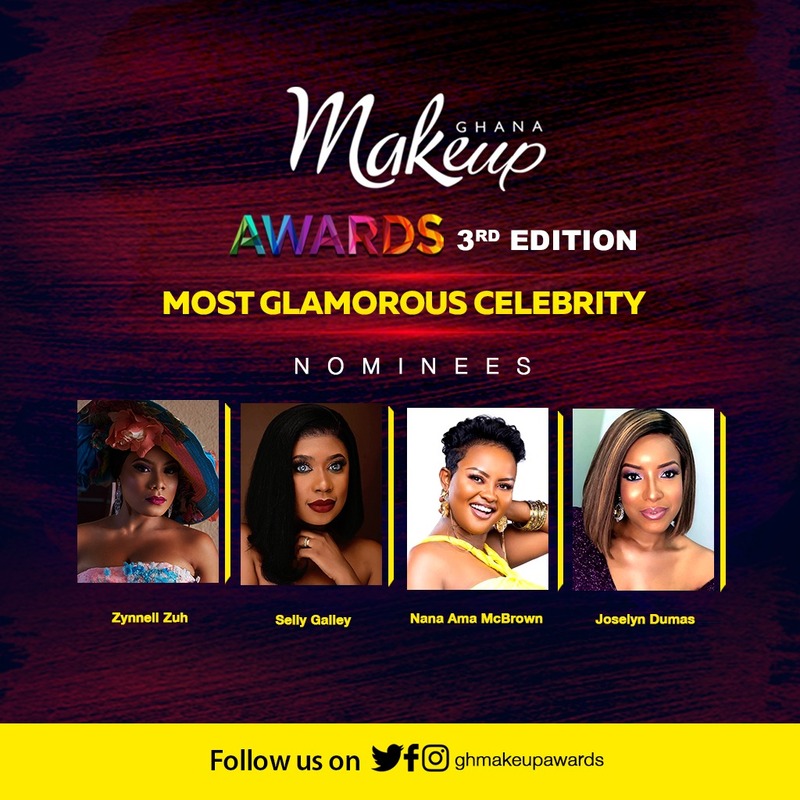 As an industry award, The Ghana Makeup Awards uses a holistic approach to scoring our nominees with the following weighting applied to choose winners: Judges – 50%; Public Votes – 30%; Awards Board – 20% (except the Most Glamorous Celebrity: Judges – 50%; Public Votes – 50%.) 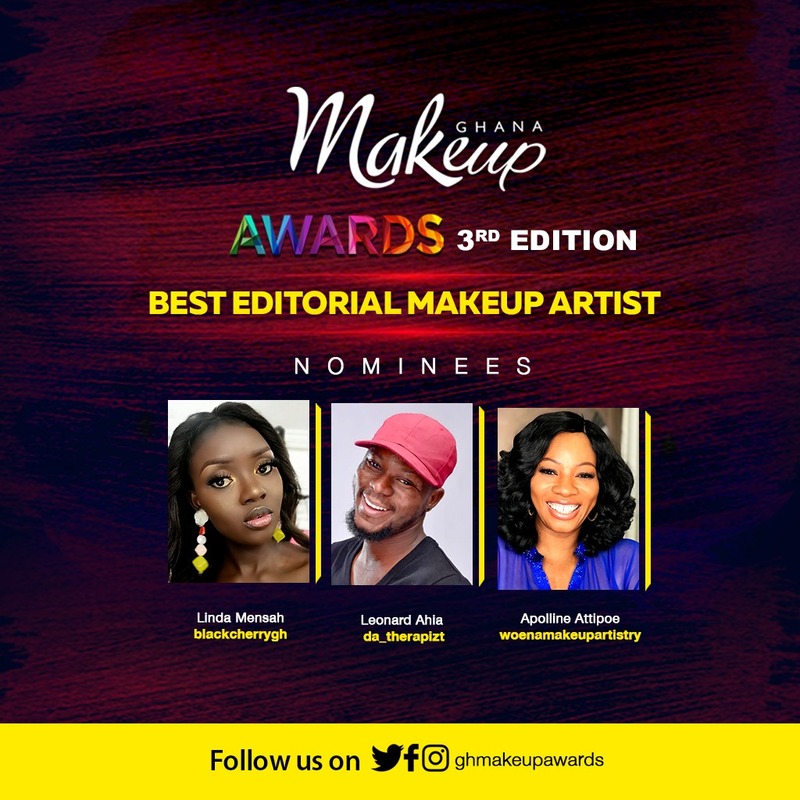 The selection of the Official Award Nominees allows the Awards to now enter the final stage, where judging focuses on live judging sessions for the Makeup Artists, Hair Styling and Makeup Photography Categories and site visits for the Business Categories. 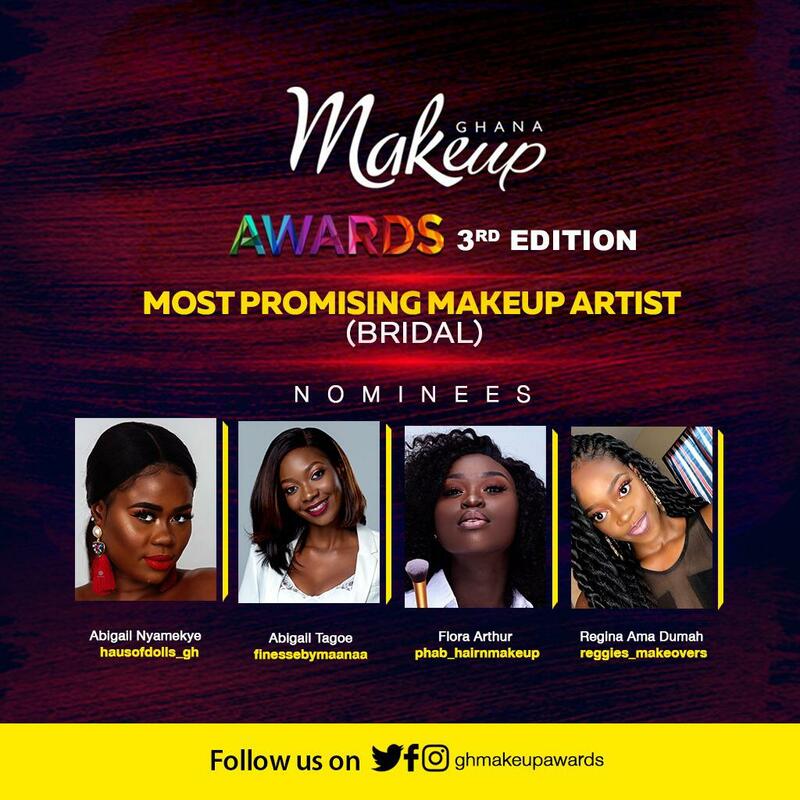 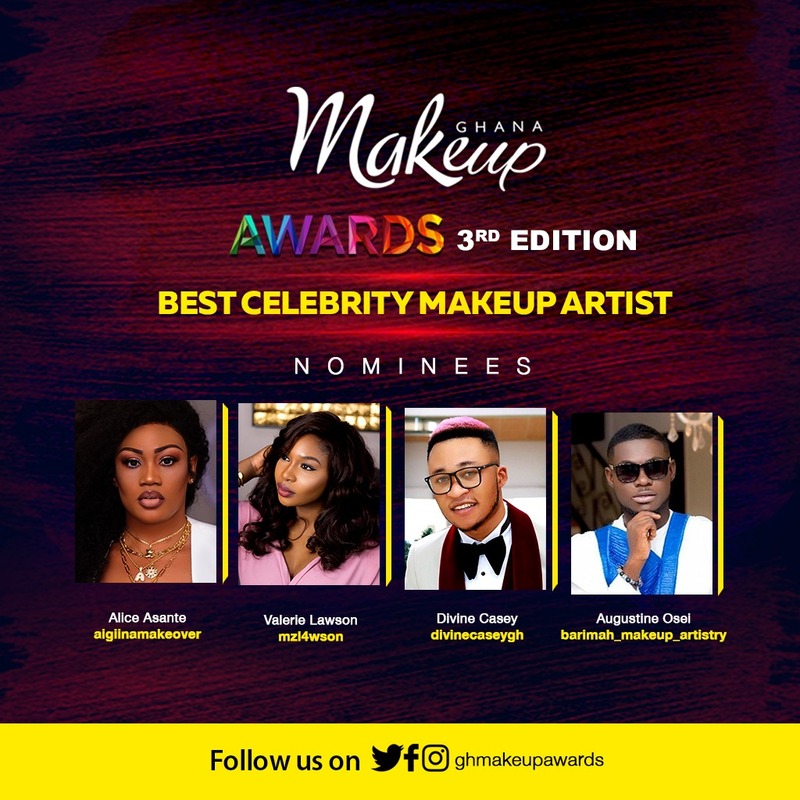 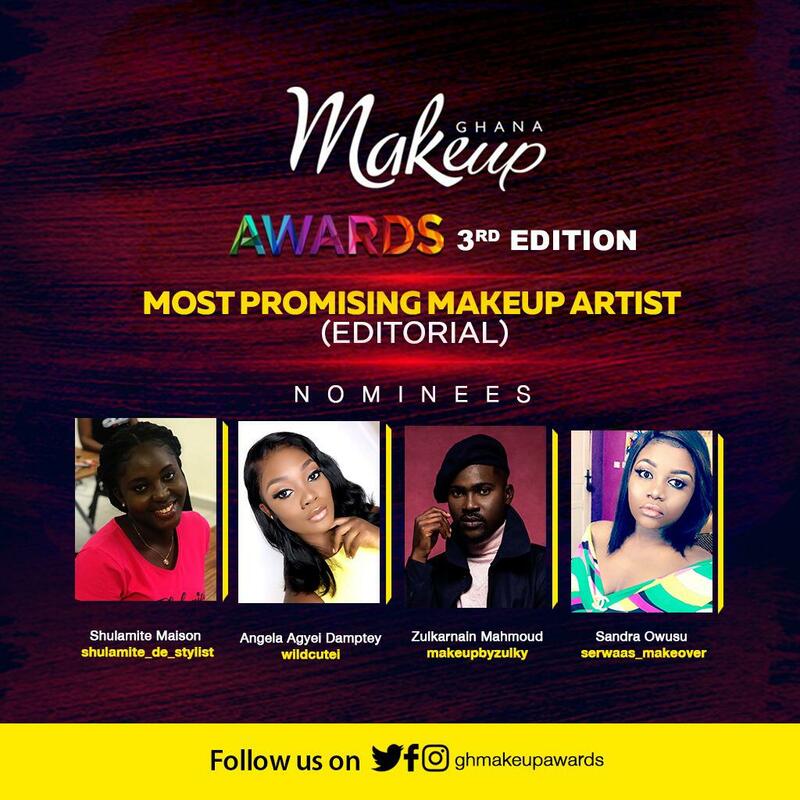 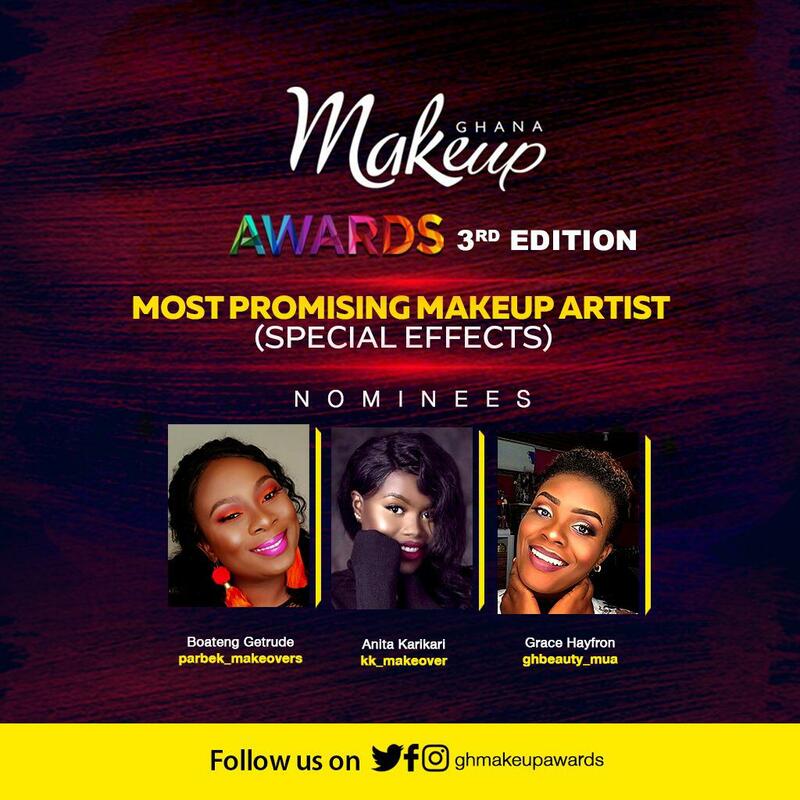 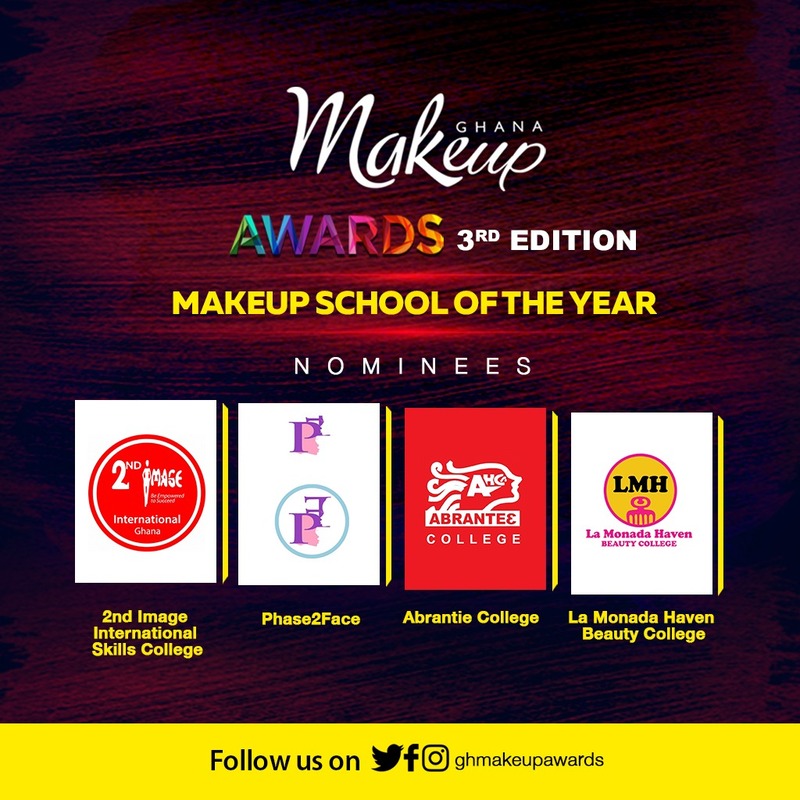 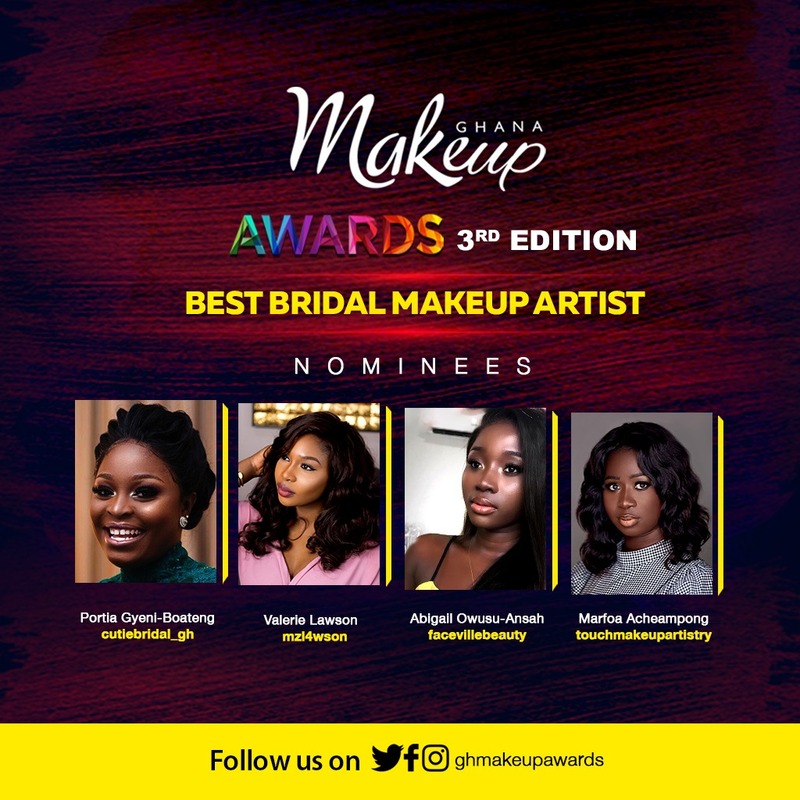 The final stage also includes public voting, which is an integral part of the overall choice of winners for the Ghana Makeup Awards as outlined above. 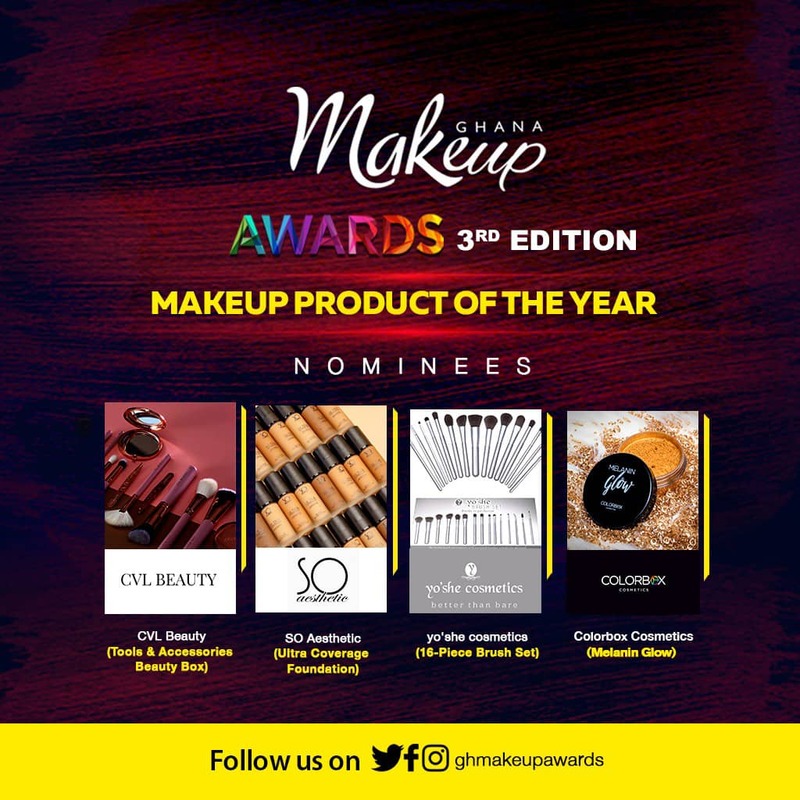 Public Voting enables us to measure the voice of consumers. 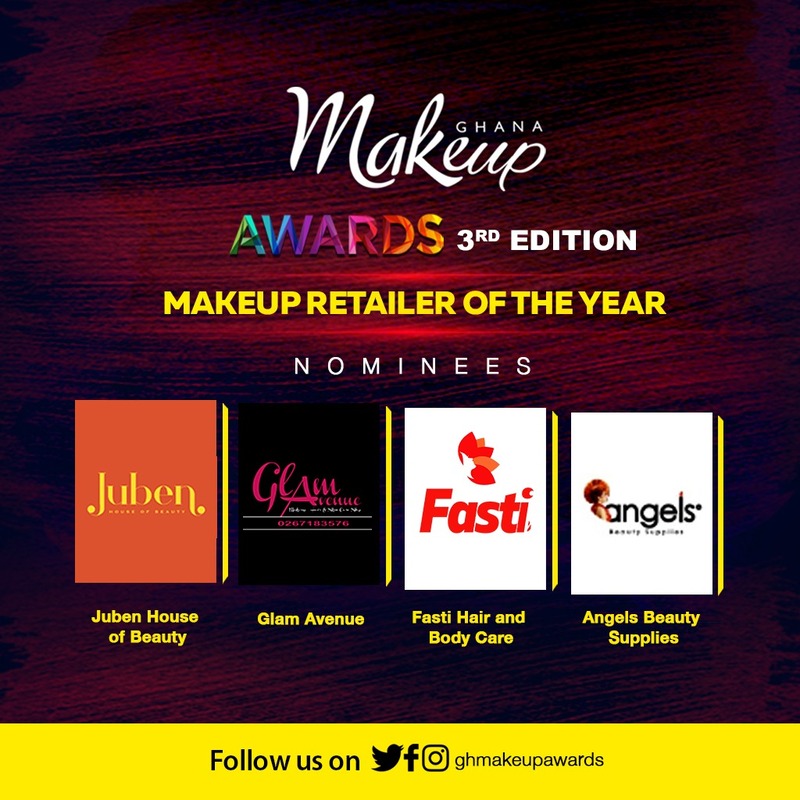 Public Voting runs from April 8th – May 7th, 2019 and is being done across USSD (*447*22#) and the Ghana Makeup Awards App for Android (bit.ly/gma3rdandroid). 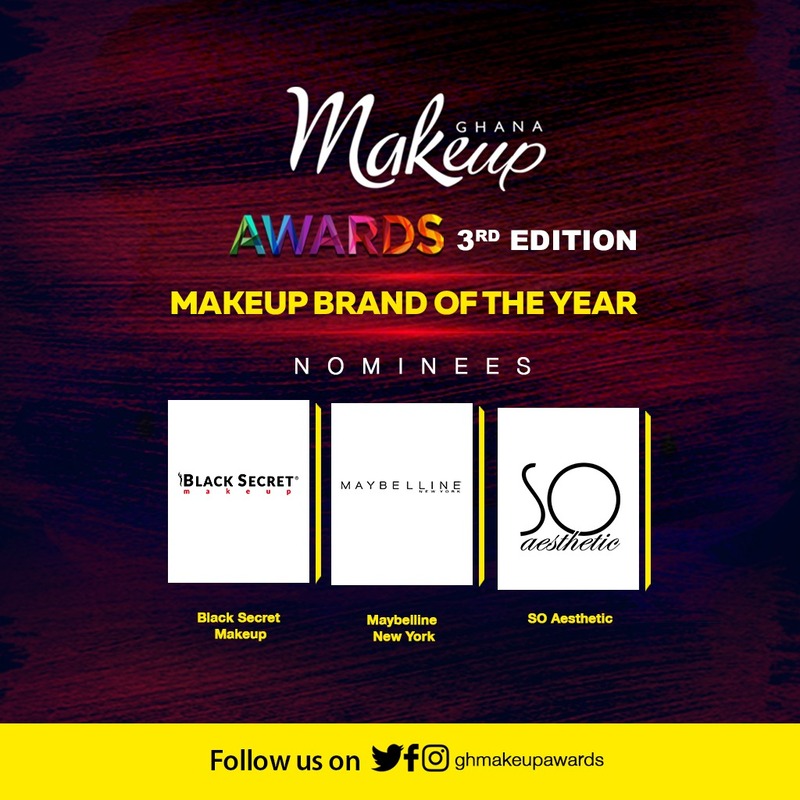 Voting is open to consumers worldwide as our makeup artists, brands, content creators and special category affiliates are international in their scope of services and products. 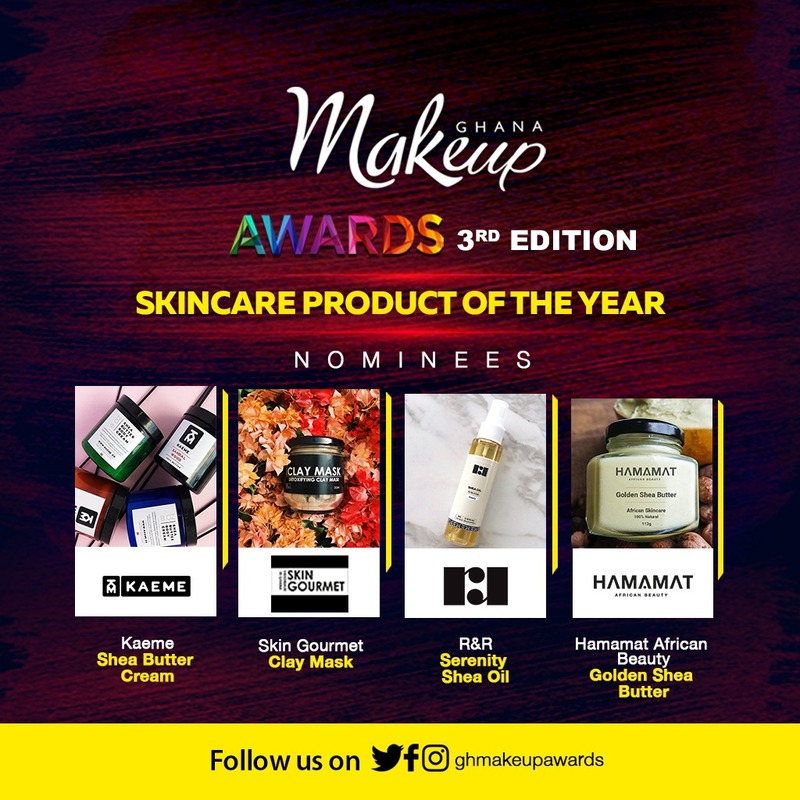 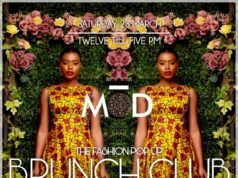 “Last year consumers who love products from our brands or who have enjoyed being made glamorous for events within or outside Ghana, but do not reside in Ghana, could not show support for their favorites. 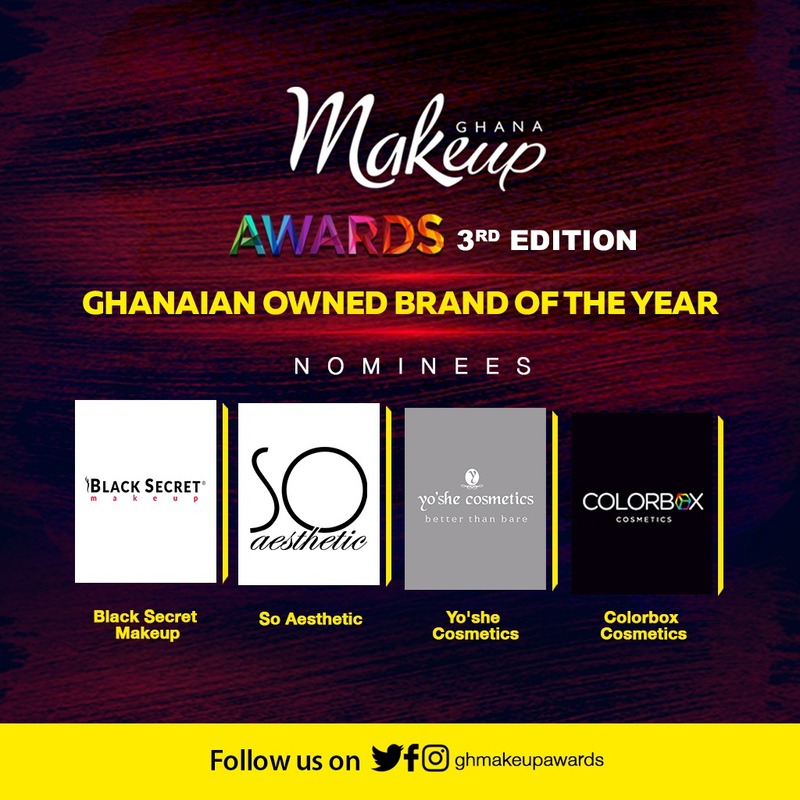 The Ghana Makeup Awards is an industry award for the makeup and beauty industry aimed at fostering excellence, by rewarding and celebrating pioneers, leading professionals and upcoming talent within the industry, as well as businesses and brands who are contributing to economic growth.